There are many football apps. Some are great, some are good and some are not so good. A football fan is always wanting to be in the mix of the game they love. They want football news, football games and football fun. Obviously they can’t try every single football app out there, that would take forever. So this article will discuss some of the best football apps that are guaranteed to fill every football fan’s needs. You’ve probably heard of Sky Sports. They’re a famous sports network on TV. But they also have a superb football app. Their app offers the latest new, game statistics, scores, penalties, lineups, etc. You can view your favorite teams’s progress during the season and follow players. But one of the best things about this app and what sets it apart from other live football scores apps is that it offers live commentary of games. You’ll feel like you’re watching the match. It also displays what matches are/will be playing on their TV network, so you can tune in there. A really wonderful football app, this is a must for football fans. I have this app on my smartphone and it is an extremely fun game. There’s no full football game content, only free kicks, but it’s speedy, competitive and rewarding. With a swipe of your finger, you have to get the ball in the net. Whether it’s over a wall of defenders or from a far distance. You can curl, power and twist your shots like no other game. The online compatibility gives this app more great points. You can connect with people worldwide and challenge them. Many different game modes such as practice, time challenge, bulls-eye and skill shot will keep any player busy. This is one of the best free kicking football apps out there and you don’t have to be a football fan to love this game. 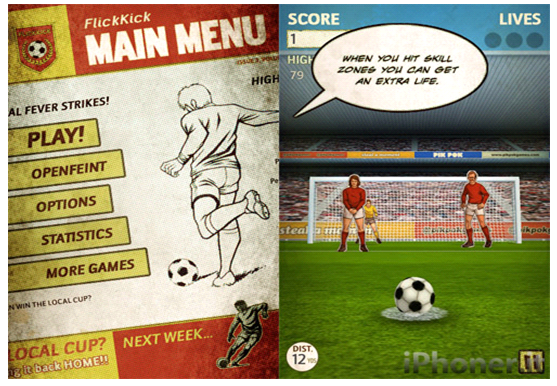 This app offers the experience of being a football player in real life. You have to deal with the daily problems that football players have to deal with and at the same time will have to shine in the matches. You can buy a new car, or a house and even a cellphone if you want to. The more goals you score, the more offers you will receive from interested clubs. Shooting is simple, drag an arrow across the screen and set the degree of the shot. It’s easy to grasp, very addictive and can be played in short bursts. A great football game that just doesn’t let you play the game, but also let’s you live the lifestyle of a football superstar. If you love yourself some classic goals scored by football legends, you’ll love this app. 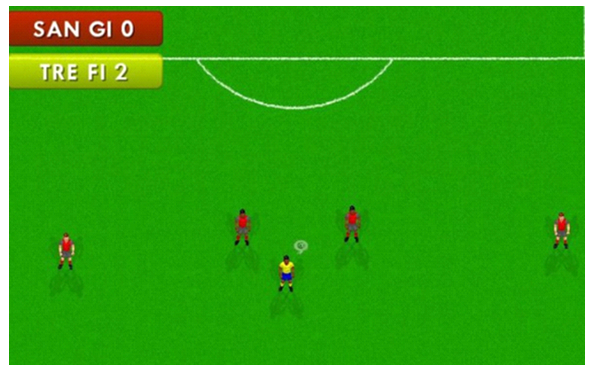 This game asks you to recreate some of the most memorable goals scored in football history. It will first show you a quick display of the goal, and then you will have to replicate the amazing talent of players like Ronaldinho, Beckham, Carlos and many more who have struck some really awesome goals. Not only will you be entertained, but you’ll also be reminded about some of the greatest goals to ever be scored in football. For those looking for some football nostalgia, this game is great for that. It doesn’t require you to play for long periods of time, so whenever you have a few minutes to spare, you can open up this app and try hit some classic goals. Football fans will deeply enjoy a game like this. These are some of the best football apps available. They’ve all been given great reviews by critics and fans. 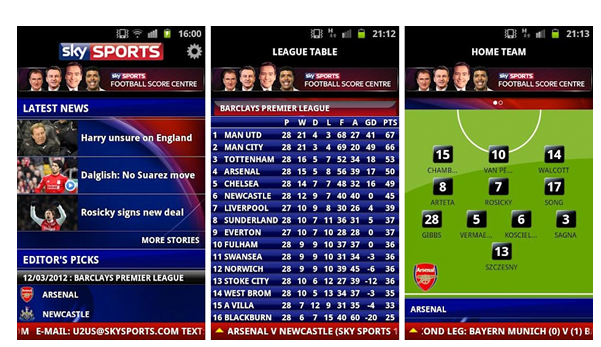 Football fans will definitely be pleased using these apps. I have a few on my phone, and I love them. For some of them, you don’t even have to be a fan of football. If you enjoy fun game-play, and have even a little knowledge of football, these apps will not disappoint.